The perfect Rock, Country and Blues gigging amp! Awesome sounding classic tone with full spring reverb. 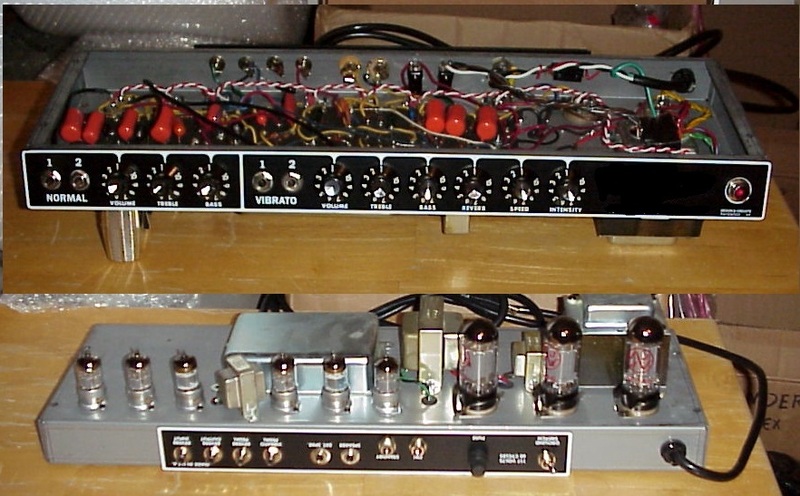 Two channels, one with Reverb and Vibrato (tremolo). 22 Watts of output into a Jensen C12Q (several upgrade options available). Vintage Style 2-button footswitch!!! See more Pix in our Gallery section!!! Like all Marsh boutique amps, these are made to order and have a 6 week lead time.